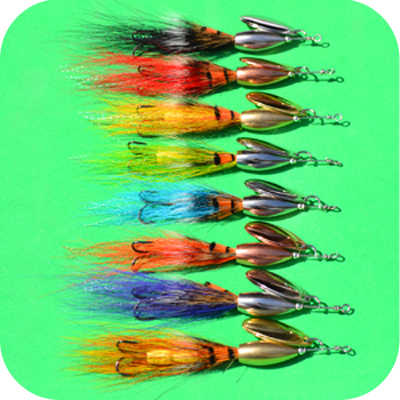 The Spintec Bucktail Allie's Shrimp Bullet Lure is available in 8 variations and 4 weights (7g, 14g, 18g or 25g), to suit a wide variety of river levels. Assembled in Ribchester, England using high quality components including a hand tied Allie's Shrimp Bucktail head seated behind a top-quality French Spinner Blade which is guaranteed to spin as soon as it hits the water. We assemble with high quality, extra strong stainless wire and use a superb quality barbed treble.